A pair of '90s horror sequels - 1995's Candyman: Farewell to the Flesh and 1999's The Rage: Carrie 2 - make their UK blu-ray debuts on March 25th courtesy of cult distributor 88 Films. Tony Todd's Candyman was such an instantly iconic horror villain that a sequel was inevitable. Candyman: Farewell to the Flesh saw Todd return to the role of the urban legend made flesh with acclaimed director Bill Condon (Gods and Monsters; Mr. Holmes) at the helm. Special features include interviews with Todd and actress Veronica Cartwright; trailer; and on the first print run only, a limited edition slipcase and booklet featuring writing by film journalists Dave Wain and Matty Budrewicz. Hopes weren't high for the belated sequel to Brian de Palma's Stephen King adaptation, but director Katt Shea's followup took horror fans by surprise with a sequel that benefitted from a female perspective without skimping on the destruction. Emily Bergl played a put upon high schooler who discovers she has a link to Carrie White. Special features include a director's commentary from Shea; alternate ending; deleted scenes; original trailer; and on the first print run, a limited edition slipcase and booklet with writing by Wain and Budrewicz. Brian DePalma’s Carrie (1976) set a new standard for the horror genre, and twenty- two years later The Rage: Carrie 2 proved to be a remarkably riotous and highly-rated follow-up to the classic original. 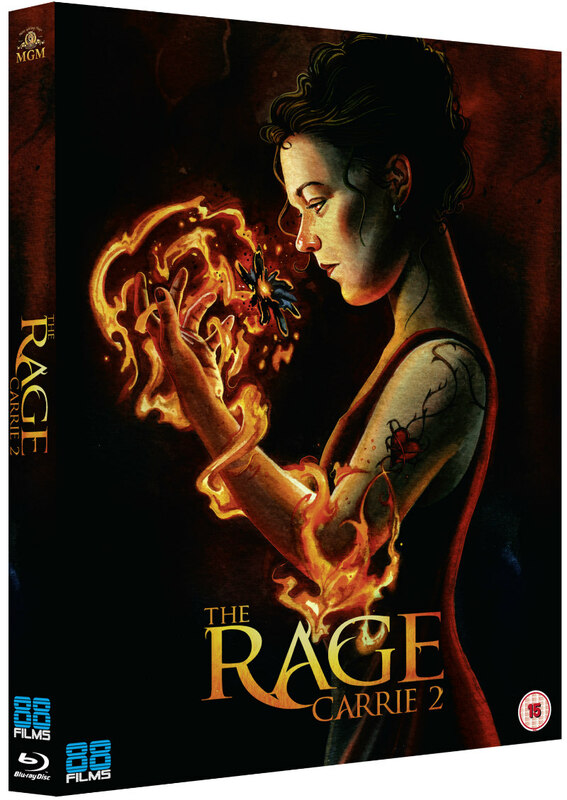 Directed by an old horror-hand in Katt Shea (Poison Ivy), and starring Emily Bergl (television's Southland) as a bullied schoolgirl who possesses an unexplored link to the telekinetic terror of Carrie White - the thrills come thick and fast in this fan-favourite follow-up. 88 Films present Candyman: Farewell to the Flesh and The Rage: Carrie 2 on Special Edition UK Blu-ray, 25th March 2019.